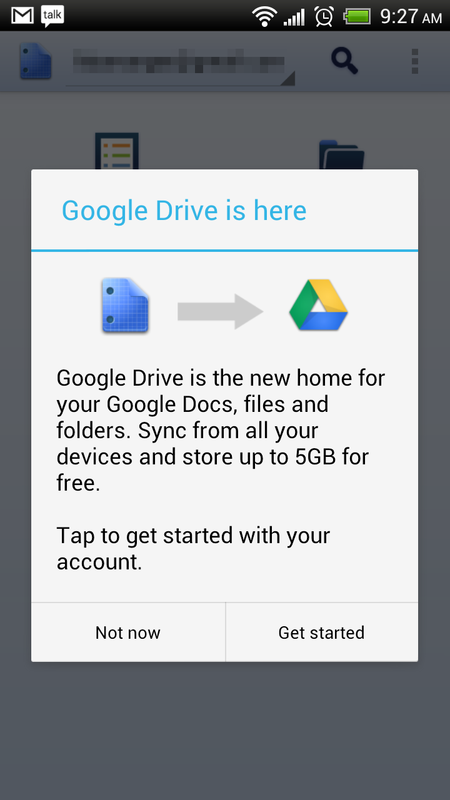 Yep, Google Drive is available now in the Play Store. It really is just an overhauled Google Docs, so if you already have that app installed, it will be a simple update. We are still waiting for drive.google.com to go live though. Update: I take that back, drive.google.com is now live. 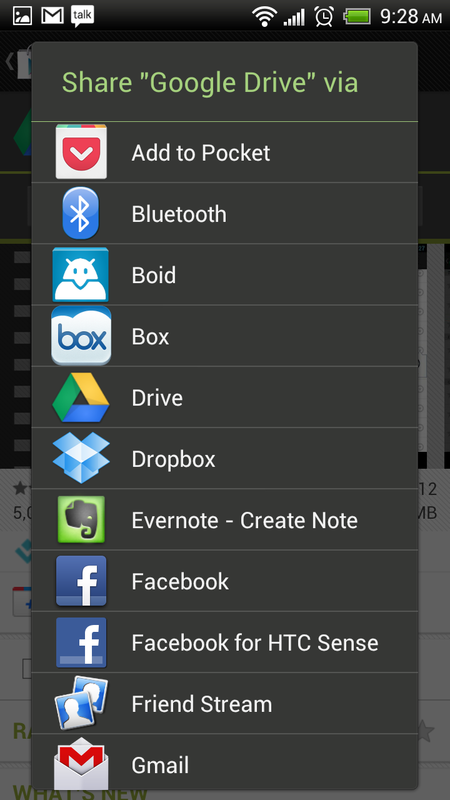 Doesn’t appear to be GApps support yet. Update 2: The Google team has announced it on the Docs blog and yes, it is taking over for Docs. It’s exactly as reported earlier except for the pricing of upgrades. You will have the option to upgrade to 25GB for $2.49/month, 100GB for $4.99/month or even 1TB for $49.99/month. Not bad pricing. Cheers Jon, Spencer, Bret, and Wintergon!